At ProSource® of Phoenix, we know the kitchen is where your client will spend a good majority of their time. 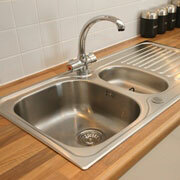 Whether they’re cooking, cleaning, relaxing or entertaining guests, chances are those tasks will be done in the kitchen. That’s why we offer a broad selection of top-notch kitchen remodel products, so your client can create the kitchen of their dreams. Kitchen cabinets can make or break a kitchen area, and depending on the wood finishes and colors your client chooses, they can be utilized to tie the entire room together. 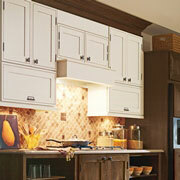 Our kitchen cabinet woods include bamboo, cherry, maple, oak and more. 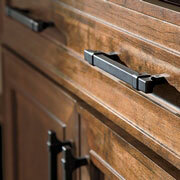 Decorative and functional, our ProSource cabinet hardware comes in many different colors, materials and types. This hardware includes items such as appliance pulls, end caps, hooks and knobs — all of which will be the perfect final touches to any kitchen remodel. 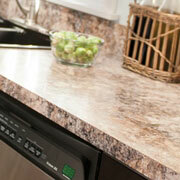 We are proud of our countertop collection, as all of our countertops are made from the top manufacturers in the nation! They come in materials such as granite, quartz or blended and recycled materials, and they can set the atmosphere for your client’s entire kitchen. Kitchen sinks can add a subtle flair to your client’s kitchen, and your client can get as customized as they want with them! Our sinks are made from materials ranging from stainless steel to fireclay, and they come in single-bowl, double bowl and triple-basin options. Kitchen faucets vary in color, style and functionality, so your client can find a kitchen faucet that works best for their wants and needs. 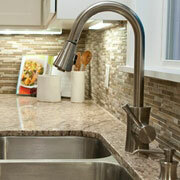 At ProSource, we offer standard faucets with side sprayers, pull-down faucets, and much more.